Acting with Text will grow and improve the acting skills of the improvisor through playing scenes from classic contemporary plays such as Chekhov, Brecht and Pinter to name a few. With a limited class size of 6 students, this course is designed to give each person an active and intensive experience. Students will work in pairs on a scene selected by course instructor. Attendance at all 3 classes is mandatory. Note: this course will require students to do work at home such as memorisation. Prerequisites: Completion of our core courses (Spontaneity, Narrative Technique, Character Scene Work). Starting in Sydney in 1990, Jenny now teaches improvisation with Impro Melbourne in both our public workshops and schools programs. 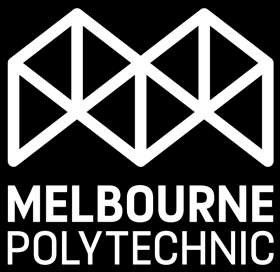 She is a teacher of Shakespeare, voice and audition technique with the VCA and teaches and directs in the Diploma of Theatre Arts at Melbourne Polytechnic. She also teaches voice and presentation technique for the corporate sector. Jenny loves to explore genre work and teaches improvisation in the style of Shakespeare, Austen, Poe and Dickens. As well as improvisation teaching, Jenny regularly teaches acting, voice and movement at the VCA and Melbourne Polytechnic.